• Location: In or near the City of Gunnison, Colorado. • Size: Approximately 3000 square feet, including provision for 800 square feet conference room (ADA accessible. • Must have adequate on-site parking and snow storage space. Please note that the District may consider all or none of the submitted proposals. The above and foregoing is a condensed statement of the Commissioners’ Proceedings at the regular meeting held in the Commissioners’ Room in the County Courthouse in Gunnison, Colorado on the 21st of July, 2009 A.D. The Board of County Commissioners meets on the 1st and 3rd Tuesday of each month for Regular Meetings and on the 2nd and 4th Tuesday of each month for Work Sessions. Special Meetings, including Public Hearings, may be scheduled at any time. Meetings are held in the Gunnison County Board of County Commissioners’ boardroom located in the Gunnison County Courthouse at 200 E. Virginia, Gunnison, CO 81230. Agendas are posted in the glass display case at the Courthouse and on the County’s website at www.gunnisoncounty.org/commissioners_meetings.html. Agendas are subject to the addition of items up to 24 hours in advance of a meeting. Deletions from an agenda may occur at any time. For further information, please contact County Administration at (970) 641-0248. If special accommodations are necessary per ADA requirements, please contact County Administration or TTY 641-3061 prior to the meeting. The Board of County Commissioners of Gunnison County, Colorado as owner and operator of the Gunnison-Crested Butte Regional Airport, requests proposals from qualified parties to enter into an on-airport Food and Beverage concession at the Gunnison-Crested Butte Regional Airport. The Gunnison-Crested Butte Regional Airport is located on U.S. Highway 50 approximately 200 miles west of Denver. It serves the residents, businesses and visitors of the City of Gunnison, Town of Crested Butte, and Town of Mt. Crested Butte and surrounding areas. A full copy of the “Request for Proposals” can be obtained at the Airport Administration Office, 519 W. Rio Grande Ave., Gunnison, CO 81230; 970-641-2304. Questions may be directed to John DeVore, Airport Manager or Kathie Lucas Administrative Director. Gunnison County has developed a Disadvantaged Business Enterprise Concession Plan in accordance with regulations of the U.S. Department of Transportation, 49 CFR Part 23, Subpart F; a copy of the Disadvantaged Business Enterprise Concession Plan is available upon request. Gunnison County seeks to obtain Disadvantaged Business Enterprise participation in all types of concession activities at the Gunnison County Airport. Deadline for submittals shall be September 25, 2009 at 12:00 noon, at the Airport Administration Office. 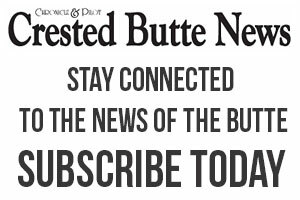 As owner and operator of the Gunnison-Crested Butte Regional Airport, Gunnison County reserves the right to reject any and all bids. 2. General Statement of Work. Supplier shall deliver a pre-fabricated pedestrian/bicycle bridge ready for placement at the site. The project does not include the construction of abutments or the installation of the pre-fabricated bridge. g. Bids will be opened at 1:30 p.m. MDT on September 2, 2009 and the bidders will be notified on or after September 7, 2009 as to the award of the contract. 5. Withdrawal of Bids. Bids will be received as set forth herein. No bid may be withdrawn within a period of forty-five (45) days after the date fixed for opening bids. 6. Reservation and Award. The District reserves the right to cancel this Invitation to Bid. The District reserves the right to reject any and all bids. The District will accept the bid that, in its estimation, represents the best value to the District.